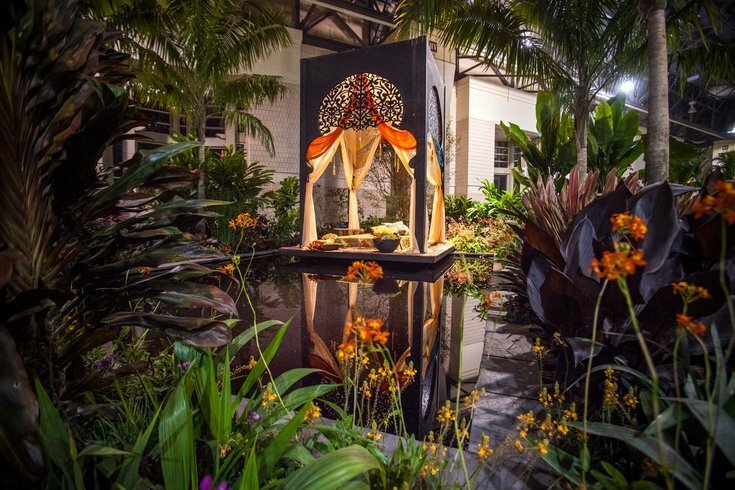 The Pennsylvania Horticultural Society's marquee production is the Philadelphia Flower Show, held annually at the Pennsylvania Convention Center. In a press release issued late Tuesday afternoon, the Pennsylvania Horticultural Society announced that Drew Becher, president of the nonprofit since 2010, will step down June 1. Margaret McCarvill, who is a PHS board member, will serve as interim executive director starting May 1, just prior to Becher's departure. She also serves as board president of the Neighborhood Gardens Trust, the city's largest land trust. A national search for a replacement will begin under her leadership. Becher will relocate to San Francisco, according to the press release. During Becher's tenure, membership increased from 20,000 in 2010, to 75,000 as of this year. Other accomplishments include a string of pop-up gardens that have surged in popularity in the past two years, as well as the tri-state Plant One Million tree-planting campaign.